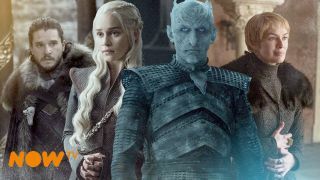 Now TV deals and Game of Thrones are a perfect match this weekend, and just because season 8 kicked off last week, doesn't mean it's too late to get involved. Not only can you still watch that first episode on demand ahead of episode two tonight (or tomorrow morning if you will), but you'll also find the entire box sets for seasons 1-7 are available to stream right now. You could be watching just minutes from now. We've been rebinging them again lately and it's fantastic fun watching old episodes with knowing eyes, looking out for early clues to larger events later on. We'd certainly rather do that than watch a five-minute summary of it all on YouTube. If you're going to do that (maybe you want to let a few episodes of the new season build up for a proper session first), just be look out for spoilers from your friends/colleagues/randoms on the bus/talking trees and the like. This really is the best Now TV pass deal we've seen for quite some time and perfectly timed for Game of Thrones fans. You can watch live at the same time the show broadcasts in the US at 2am each Monday or watch it later on at a more sensible hour. Or both. Now's TV's Entertainment pass offers Sky's hottest TV content at a ridiculously low price and with no contract tying you down either. After the three months are up, the pass auto-renews at £7.99 a month, but you can cancel at any time if you don't want to continue the service. With so many other shows to enjoy that you won't find on Netflix or Amazon Prime, you'll probably stick around though. You'll find the free Now TV app on a huge range of devices. Smart TVs are most convenient if they have the app available, but you'll also find it on PlayStation and Xbox consoles, Chromecasts, Roku sticks and boxes, Apple TV, EETV, modern Youview boxes, mobiles, tablets or simply login with your PC or Mac. If you want to check out the full range of services offered by Now TV, head on over to our Now TV deals and offers guide. And if you've been meaning to upgrade your TV, be sure to have a peak at our roundup of the best cheap TV deals. And if you happen to be outside the UK but still desperate for your GoT fix, then you'll need a VPN in order to get around pesky geo-blocking. Our favourite is ExpressVPN, thanks to its speed, security and simplicity to download and use. So now all you need to figure out is whether your're going to stay up and watch or catch it at a more reasonable hour!